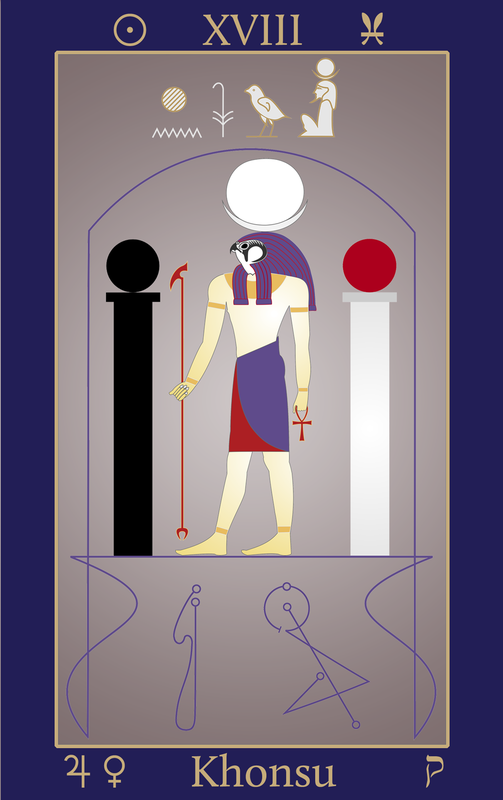 The Egyptian Tarot of Thelema is an entirely new concept in the field of practical magick and Thelema. The Book of the Law, Liber AL vel Legis, has for more than a century thought to be the creation of the English writer and occultist Aleister Crowley. 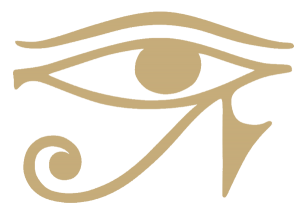 Crowley nonetheless insisted throughout his works that he was not the author of the book, merely the scribe or recipient of the esoteric wisdom conveyed by Aiwass, the agent for the transmission, in Cairo in 1904 e.v. Thelema sprang from an ancient Egyptian source. It therefore owes little if anything to the rationalist humanism of Crowley and others since him, that have sought to impose their values and magical systems upon it. 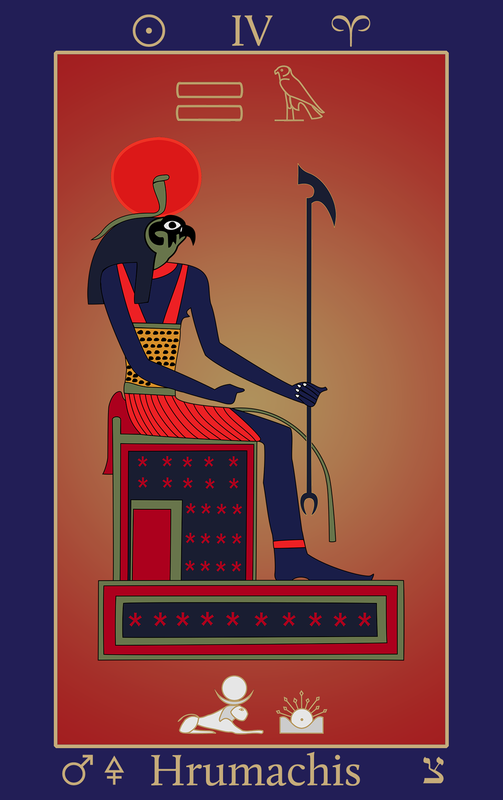 The primary aim of the Egyptian Tarot of Thelema is to give the Book of the Law back to its true home in ancient Egypt. The traditional key-scale correspondences of the Tree of Life have nonetheless faithfully been followed. The deck is fully reflective of Esoteric Thelema, which is the wisdom of ancient Egypt, not that of Crowley or his followers. Esoteric Thelema is set forth, with many applications both practical and philosophical, in the book, Babalon Unveiled! Thelemic Monographs. The first Tarot card to be created was to replace The Devil XV, the card for Capricorn Solstice and the 26th path. 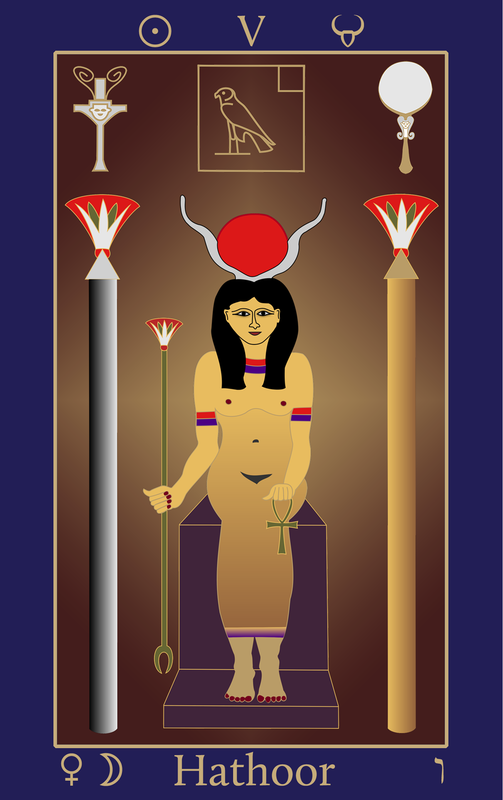 The Egyptian Tarot of Thelema Atu is titled, Set XV and depicts the Egyptian god Set, ‘first before the gods’. The esoteric title of Atu XV is Lord of the Gates of Matter: Child of the Forces of Time. The Thelemic year begins for us, not on the 20th March each year, but on the winter solstice, when the Sun crosses the zero degrees mark of Capricorn. The 26th path of Capricorn is the Renewing Intelligence, and the time of year marks the first light of the Khabs in the Khu, sounded in the depth. Cancer and Capricorn mark the height and depth of the Sun. The equinoxes mark the cardinal crossing. The four cross-quarters mark the Kerubic signs, Aquarius, Taurus, Leo and Scorpio.